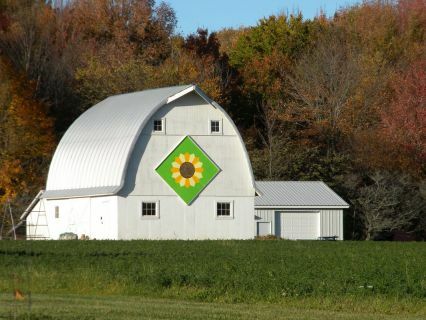 Visit Michigan Quilt Trails in your travels through a system of self-guided driving and cycling tours. 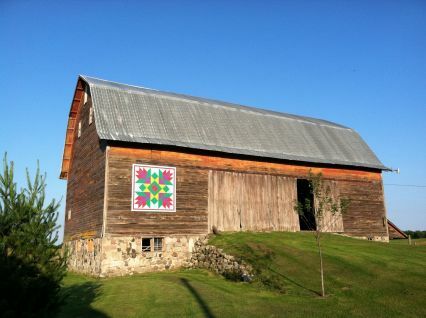 Giant quilt blocks on barns and other structures celebrate our rural life and heritage. 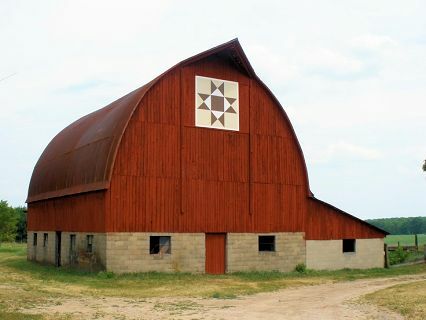 The Old Mission Quilt Barns Trail in the Traverse City area. The Thumb Quilt Trail which covers Huron, Sanilac, and Tuscola counties. Download the 2017 Quilt Trails brochure. 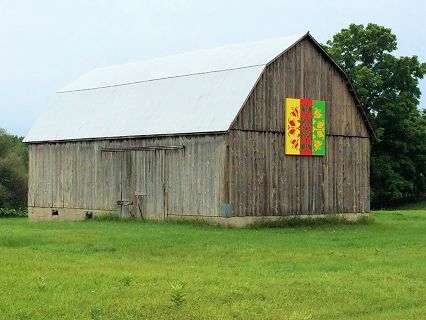 Interested in starting a Quilt Trail in your area? 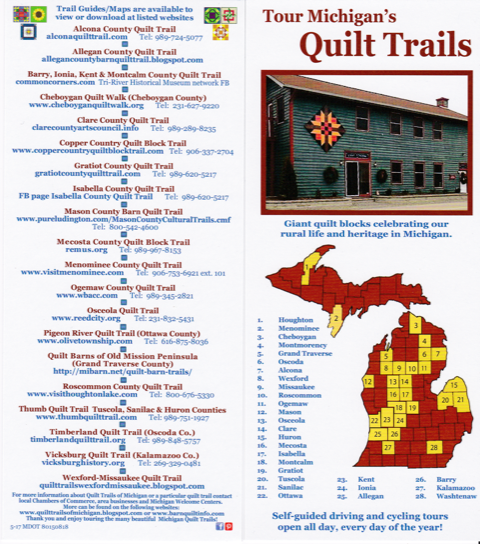 There is a Facebook group, Quilt Trails of Michigan, for developing and sharing among Michigan Quilt Trails. It is a closed group, so go to this page and leave a message request to become a member. Let them know where in the state you are located. The expertise in this group can be invaluable to you —from the how-to’s of developing a group — design, painting, and mounting of quilt blocks — and organizing events. This group meets annually to share information and to produce promotional materials that all can share and are placed at the Michigan Rest Stop Information Centers.